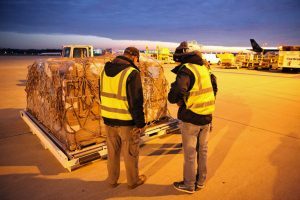 Samaritan’s Purse airlifted an emergency field hospital and relief supplies from Greensboro, North Carolina, to Erbil, Iraq, on the 23rd of December. The hospital will treat injured and traumatised Iraqis just east of combat zones near Mosul, which has been controlled by ISIS terror for two years. UPDATE: The plane carrying our field hospital along with other relief supplies landed safely in Erbil, Iraq. It was unloaded on a rainy Christmas morning (Iraqi time) and construction is under way. ITEMS FOR A FIELD HOSPITAL WERE AIRLIFTED ON THE 23rd OF DECEMBER. THE HOSPITAL IS EXPECTED TO BE OPERATIONAL ON THE 3rd OF JANUARY. Since October a large military coalition led by the Iraqi army has been liberating towns on the Nineveh plains and other areas around Mosul. Some neighbourhoods inside Mosul have also been freed, but the offensive’s progress within the city limits has been hampered by ISIS brutality and the nature of street-to-street combat. More than 100,000 people – about half of whom are children – have been displaced by the months-long offensive. Many are fleeing with only the clothes on their backs and find themselves in desperate need of medical care and emergency aid. Our field hospital will be located in Bartella and is expected to be ready to receive patients as soon as the 3rd of January 2017. Located a little more than 10 miles from Mosul, Bartella is a historic Christian town that was liberated from ISIS control in October. The hospital will span more than five acres and be equipped with an emergency room, two operating rooms, pharmacy, and about 50 beds. Joined by dozens of essential support staff, 40-plus medical staff will treat injuries from gunfire, mines, and other explosives. The UN Office for the Coordination of Humanitarian Affairs has reported an increase in these and other traumatic injuries among civilians over the past several weeks in eastern Mosul. The cargo jet chartered by Samaritan’s Purse is also packed with 400 rolls of shelter plastic, more than 5,000 hygiene kits, and 5,000 cooking kits. Each cooking kit includes plates, cups, spoons, a five-litre cooking pot, and a seven-litre cooking pot. These will be distributed to those displaced by the current conflict, as well as to those displaced in 2014 and now returning to liberated villages. Earlier this month we deployed a mobile medical team to serve alongside the Samaritan’s Purse disaster response team and national staff who are providing physical and spiritual relief in Jesus’ Name. Samaritan’s Purse, in partnership with the World Food Programme, is distributing monthly food rations – supplies of salt, sugar, cooking oil, chickpeas, rice, flour, and beans – to tens of thousands of people at six evacuee camps. In addition to food, we have distributed items such as medicine, clothing, shoes, bedding, and kerosene heaters to returnees and displaced families who narrowly escaped Mosul’s terror. 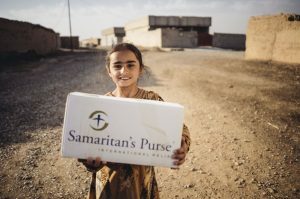 Samaritan’s Purse has been in Iraq since 2008, investing in the lives of Iraqis through projects such as children’s programs and medical care.  Our work has included providing emergency relief since 2014 to displaced people by ISIS. Please pray for our staff and the medical personnel who will be setting up the field hospital and readying it for patients. Pray that the patients we treat will experience Jesus’ love in a tangible way and that God would provide opportunities to share the Good News with hurting people.